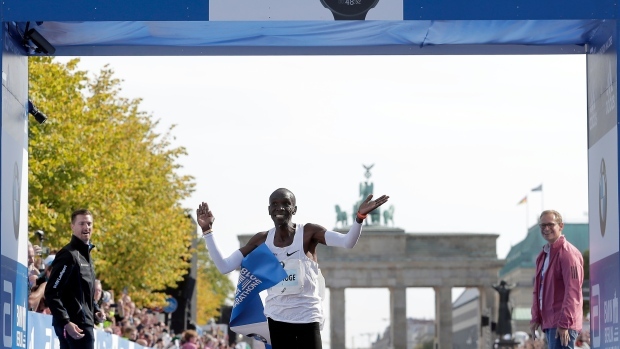 BERLIN -- Olympic champion Eliud Kipchoge has broken the marathon world record, winning the Berlin race in 2 hours, 1 minute and 40 seconds on Sunday. The Kenyan defended his title in the German capital, pulling ahead of his competitors early on amid perfect running conditions. He broke the previous world record set in Berlin by fellow Kenyan Dennis Kimetto in 2014 by 1 minute and 17 seconds.